Prime Healthcare Services and its founder and CEO, Dr. Prem Reddy, have agreed to pay $65 million to end a yearslong lawsuit alleging the hospital chain engaged in a "deliberate corporate-driven scheme" to fraudulently bill Medicare, the U.S. Justice Department announced Friday. The whistle-blower lawsuit, which was originally filed in 2011 by a former Prime hospital executive and that the Justice Department joined in 2016, claims that in order to drive up revenue, Reddy and 14 Prime hospitals in California pushed doctors to admit Medicare beneficiaries as inpatients when they should have been outpatients placed on "observation" status. The government estimates that more than 35,000 patients were improperly admitted to Prime hospitals. The suit also alleges the hospitals engaged in "up-coding," which involves falsifying patient diagnoses in order to increase Medicare reimbursement. Reddy will pay $3.25 million to settle the claims while Prime Healthcare will pay $61.75 million. In a statement, Prime Healthcare Services denied any wrongdoing. "Physicians, not hospitals, direct the level of care needed for their patients. Prime continues to support physicians in the care they determine is best," Prime said. The hospital chain also added that Medicare doesn't outline criteria for inpatient admissions and for patients admitted under observation, they "end up paying more out-of-pocket deductibles" and are not eligible for post-hospital care like rehabilitation services. The whistle-blower, Karin Berntsen, will receive $17.23 million. Federal investigators were told by Prime employees that Reddy encouraged the scheme. He allegedly criticized emergency department doctors who passed up opportunities to admit Medicare beneficiaries; requested more hours for emergency department doctors whose patients had high rates of admissions and fewer hours for those whose patients had low rates of admissions; and told doctors to find ways to admit all patients over age 65. Witnesses also alleged that he told emergency doctors that insured patients who spent more than two hours in the emergency department waiting for test results should be admitted, but that was not necessarily the case for uninsured patients. A Justice Department analysis also found that hospital billing for beneficiaries on "observation" status would plummet after Prime acquired the hospital. 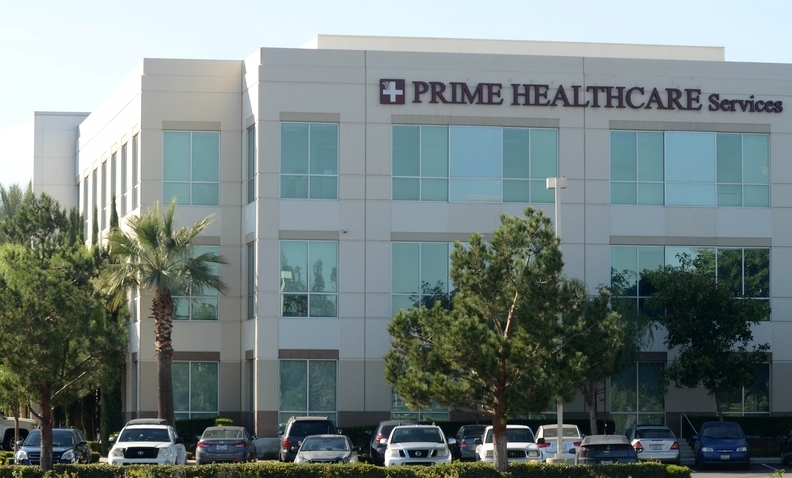 Prime operates 45 acute-care hospitals in Alabama, California, Florida, Georgia, Indiana, Kansas, Michigan, Missouri, Nevada, New Jersey, Ohio, Pennsylvania, Rhode Island and Texas. In January 2017, Prime failed to get the suit dismissed. Prime argued that its physicians admit patients based on their opinion and scientific judgment and the suit wrongly concludes that because some Medicare patients were released shortly after admission they were admitted unnecessarily.